Roomle goes Android. 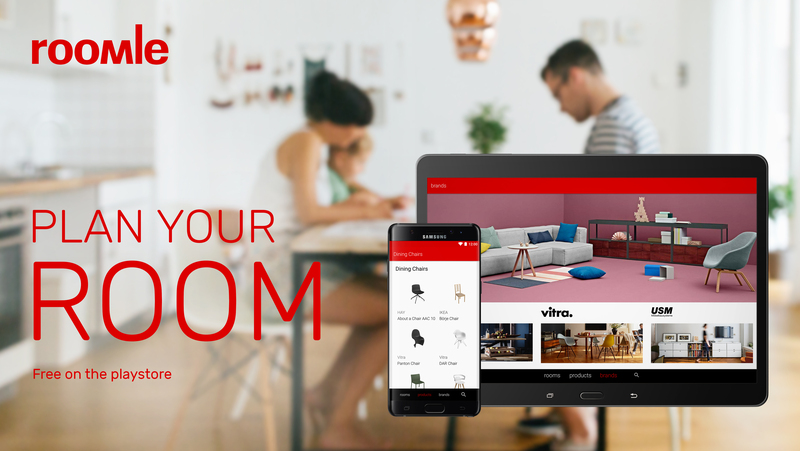 Besides the very successful iOS version, the new Android app is equipped with a comprehensive 3D / AR furniture catalog and innovative visualization options. The room planner and other Roomle features will be continuously expanded and will follow during the year. The app is now available free of charge via Google Playstore. Conceptually and optically, the new app is very much in line with the iOS version. 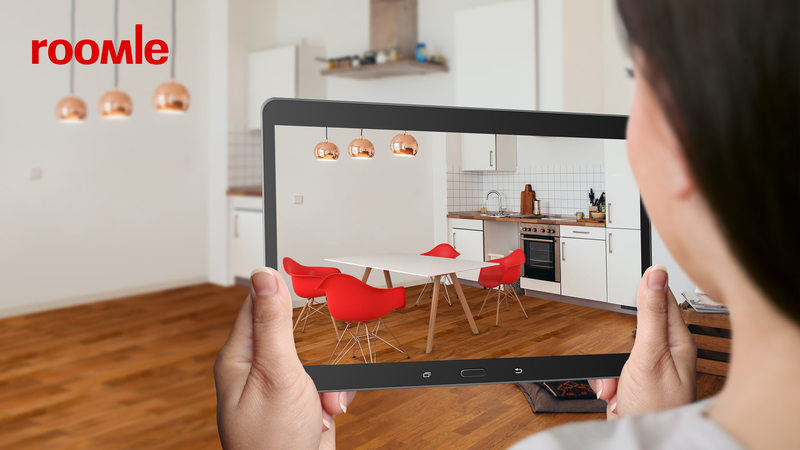 In a first step, it is possible for Android users to use the extensive 3D/AR furniture catalog, visualize and buy furniture. This makes it easy to find the right piece of furniture for your home or office. An inspiring 3D furniture catalog with innovative online features supports the purchase decision and provides a realistic idea of how furnishings could look in one´s home. At the push of a button furniture can be viewed in Augmented Reality live in the room and bought immediately. An app for creating and visualizing design ideas in 2D, 3D and via Augmented Reality. The 3D furniture catalog offers a wide variety of fixtures and furnishings, with a selection that is continuously increasing. Sophisticated functions and selection options make the search for furniture easier. Furniture can be selected and viewed in Augmented Reality at the push of a button. With the augmented reality function it is possible to look at the selected furniture in the room. In addition, seamless working across all platforms is guaranteed. For example, furniture can be configured at www.roomle.com and viewed live in AR with the Android app via all mobile destinations. Select the perfect item - and buy it immediately: purchase items online, or research where similar products can be found, over a large and continuously growing network of retail partners. Roomle was founded in July 2014 by Albert Ortig. The company operates internationally, with a strong focus on optimizing market access and simplifying sales processes in the furniture industry. 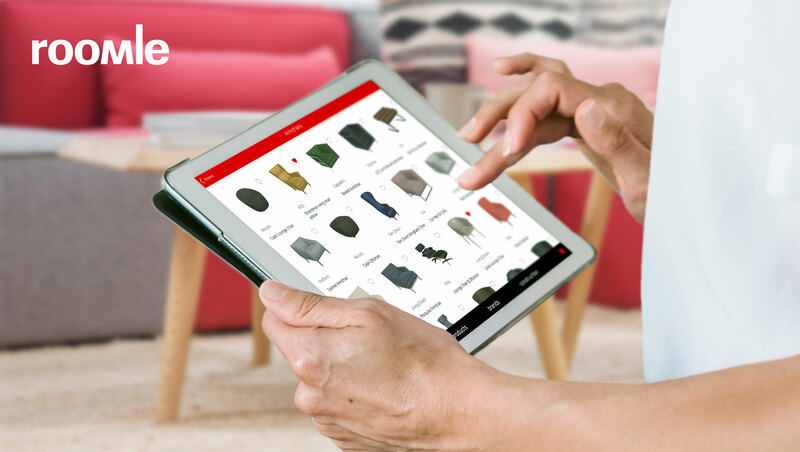 Roomle connects consumers, retail and producers, intending to innovate the dynamically changing furniture market with an exceptional digital service. Main investors are the aws venture capital fund and the Michael Grabner Media GmbH.